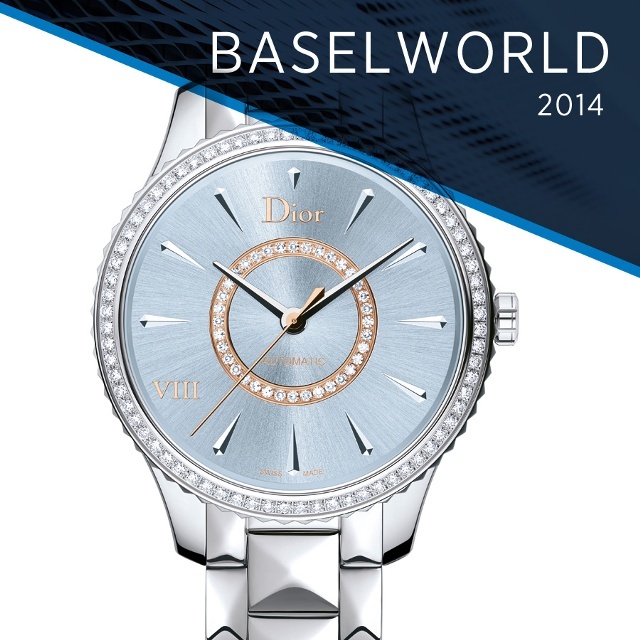 Dior released, this week, its latest BaselWorld Preview- the VIII Montaigne collection. Featured here, in pale blue, the timepiece contains slender horns and a slim case to accentuate the delicate aesthetic. Three sizes will be made available, 25mm, 32mm or 36mm. The pale blue variant contains a single row of diamonds encrusting the bezel, as well as another row placed at the center of the dial set in a rose gold ring. The stainless steel case is also available in pink gold. Additionally, an alligator strap is available as well as a pink gold bracelet or stainless steel bracelet. 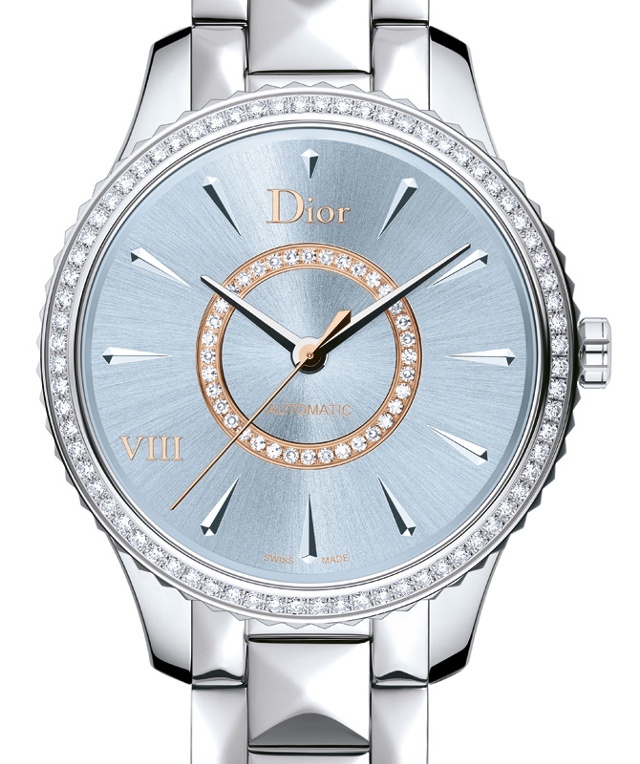 The Dior timepiece collections first see the light of day in Paris, in the design studios, Avenue Montaigne. Les Ateliers Horlogers Dior, established in 2001 and located at La Chaux-de-Fonds, the cradle of Swiss watchmaking, give life to the creations conceived in Paris. They have gathered around them the finest specialists in their domain: movement designers, dial makers, setters. Les Ateliers Horlogers Dior combine their technical skill and expertise with exceptional jewellery-making know-how. Continue reading to explore collections and find booth information.